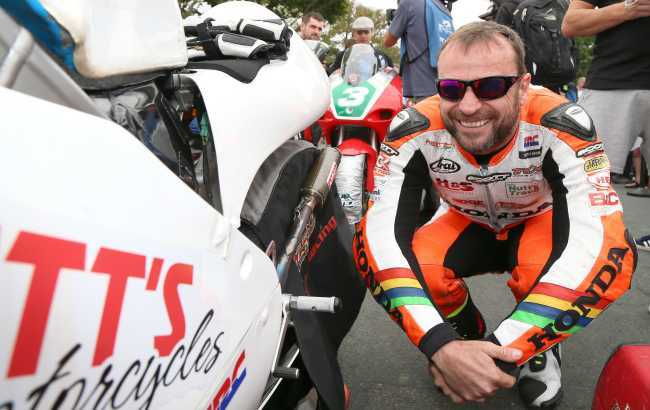 Bruce Anstey shattered a number of records on his way to repeating last year’s victory in this afternoon’s Dunlop Lightweight Classic TT Race, the second race in the 2017 Isle of Man Classic TT Races presented by Bennetts. The flying Kiwi started by breaking the outright 250cc lap record on his opening lap, becoming the first rider to do a 250cc lap under 19 minutes which he followed up by becoming the first 250cc rider to post a 120mph lap on his second lap and he also broke his own race record by over a minute. Lougher on the Laylaw Racing Yamaha was first away and the Welshman lead on the road at Glen Helen at the opening checkpoint but Anstey had already taken 9 seconds out of him on the clock with Dan Sayle riding the Steelcote Solutions Yamaha the Kiwi’s nearest challenger, four seconds behind the race leader at Glen Helen. 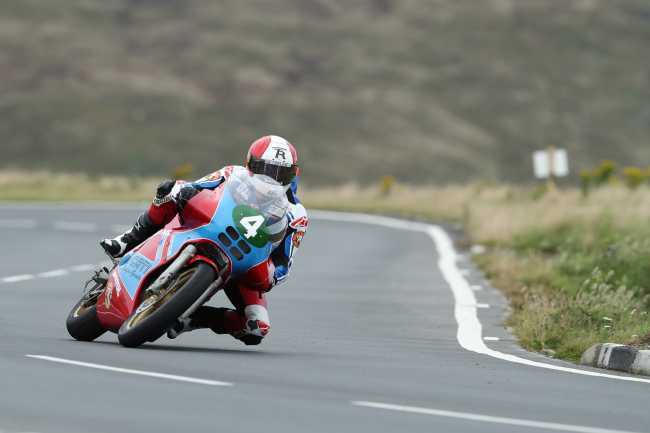 Anstey moved in front on the road at Ballaugh on the opening lap and extended his race lead over the Mountain section before posting an opening lap of 119.888mph/ 18:52.960, the fastest ever lap by a 250 machine, and the first under the 19 minute barrier – all the more remarkable as it was set from a standing start. Behind the Kiwi Dan Sayle was trying to give the Padgetts Motorcycles.com rider some competition but the Manx rider was already 25 seconds down with his opening lap of 117.225 with Michael Rutter on the Red Fox Grinta Racing Ducati, a tribute to his father Tony, completing the top three in 116.903. Lougher (116.657) was maintaining a podium challenge just over two seconds behind Rutter with Ivan Lintin (114.950) completing the top five. That remained the order on lap 2 with Anstey breaking his own lap one record with a lap of 120.475/ 18:47.438, the first 120mph 250cc lap in the history of the Mountain Course with the New Zealander slowing down for his pit stop. Dan Sayle was reported as a retirement at Garey Ford near Kerrowmoar which saw Michael Rutter move into second place at Ramsey with Lougher slotting into the final podium position but Anstey’s lead at the end of lap three after a lap of 113.233mph was a decisive seventy seconds ahead of Rutter with Lougher (111.580) a further thirteen seconds back in third place. 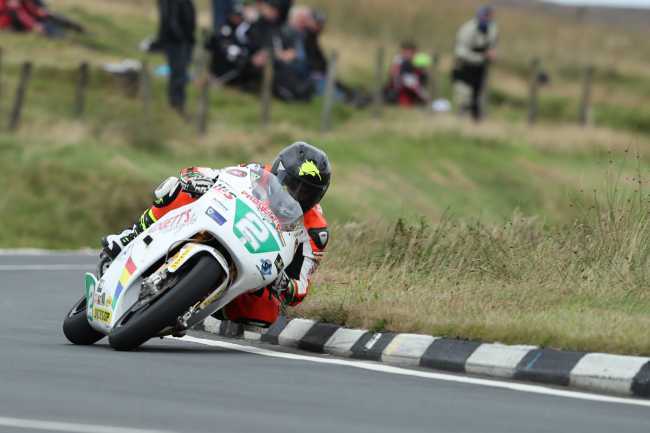 A very relaxed Bruce Anstey and the Padgett'sMotorcycles.com Honda RS250. 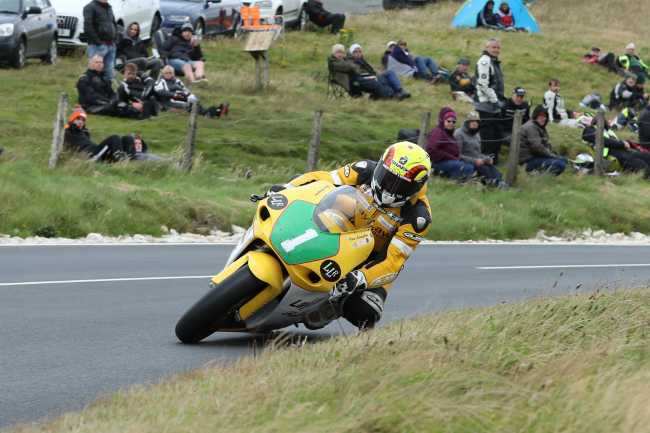 Ian Lougher (Laylaw Racing Yamaha) at The Bungalow during the Dunlop Lightweight Classic TT race.